Shady Oaks Flea Market. 625 Decatur Pike. Highway 30. I-75, Exit 49. Ample parking. approximately 75 dealers. Antiques, collectibles, new and used merchandise, farm items, crafts, produce. Snack bar, ample parking. c/p Chester Clark, (615) 745-3975. Athens Flea Market Mall. 1637 Decatur Pike. Highway 30. I-75, Exit 49. Hours Friday and Saturday 9am-70, Sunday 10am-5pm. New market. Approximately 250 dealers. Well attended market. Good range of merchandise here, antiques, collectibles, crafts, new merchandise, used merchandise. Plenty of food. Restrooms, h/a. Indoor and outside space available. Overnight camping on premises. New market. c/p Norman Barker, P.O. Box 515. Etowah, TN 37331. (615) 263-7414. Bells Market Place. Route 1. New and used merchandise, lots of bric-a-brac, country collectibles, collector items, crafts, decorator items. Snack bar, restrooms, ample parking. Inside and outside space. Electric and camping available. c/p Barbara Williams, Box 38006. (901) 663-2919. Chattanooga Indoor Flea Market. 210 E. 21st Street. I-24, Exit 181. Ample parking. New and used merchandise, antiques, furniture, colle ctor lines, primitives, farm items, decorator items. Snack bar, restrooms, h/a. parking. Reservations for space are recommended. (423) 684-7017. East Ridge Flea Market. 6725 Ringold Road. Hours: 9am to 6pm. Free adm and ample free parking. Indoor/outdoor market with approx 150 dealers. Antiques, collectibles, some nice spreads of quality smalls here. new and used merchandise. Space from $23. Per 10x10 per day. Restaurant, restrooms, h/a, rv park across the street. C/p Ginger Long, 6725 Ringold Rd, 37412. (423) 894-3960. Kraft Street Flea Market. 161 Kraft Street. Inside Market. Used merchandise, garage sale type bric-a-brac, home furnishings and decorator items, imports, sports memorabilia, collectibles. (931) 648-9201. Seven Acre Flea Market. Highway 25 West. Drive In Theater. Ample parking. New and used merchandise, lots of bric-a-brac, farm items, country collectibles, collector items, crafts, produce, pets and pet supplies, decorator items. Snack bar, restrooms, h/a. (615) 525-6666. Flea Town Mall. I-40 Exit, Burgess Falls Road. 38501. Ample parking. Average daily attendance 2,000+. Approximately 250 dealers. Market has pony rides, petting zoo, entertainment and train rides. The Flea Town Mall also holds auctions on Tuesday & Thursday. Good food in cafe on premises, restrooms, h/a. Indoor/outside market with covered spaces from $3 to $15. Camping available. c/p Buddy Franklin, (931) 432-4097. Crossville Flea Market. Highway 70 North. I-40, Exit 317. Hours: 7am to 3pm. Ample parking. Approximately 400 dealers. Excellent, old time market with a wide range of goods. Antiques, collectibles, primitives, advertising items, coins, paper goods. New merchandise, electronics, sportswear, housewares. Crafts, art. Snack bar, h/a, clean restrooms. Fun upbeat family atmosphere here. Indoor/outdoor market with some covered spaces. Space from $6. c/p Mary Brown, Box 3037. 38557. (931) 484-9970. Fax: (931) 707-1339. Log Cabin Antiques and Flea Market. 1635 Highway 46. I-40, exit 172. Outdoor market with approx 25 dealers. c/p Wayne Harris, (615) 446-4438. DIXON - - SAT & SUN ??? Dixon Flea Market. I-40, exit 317. Ample parking. Average daily attendance 10,000+. Mountains of collectibles to be found here. Civil War items, tobacco items, advertising items. If it's in the collector field, it's probably here. Antiques, used merchandise, great fun shopping here. Nice cafe on premises, restrooms, h/a. Outdoor market with covered spaces. Space from $3. Camping, electricity and showers available. Billed as Tennessee's largest weekly Flea Market. Highway 41 Flea Market. Highway 41, 5 miles South of town. Hours 7am-5pm. Ample parking. Approximately 150 dealers. Antiques, collectibles, glassware, silver. Crafts, used merchandise. New merchandise, farm items and equipment. Snack bar, restrooms, h/a. Camping available. Market open to food vendors. Indoor/outdoor market with covered spaces. 2862 Hwy 41 S. 37171. (615) 643-4763. Highway 127 Corridor Sale. The month of August, from the Thursday before the 3rd Sunday through Sunday. Sale runs along US Highway 127 through the states of Alabama, Kentucky, and Tennessee. Wherever you see a group of sellers, that's it. Park where you can and shop all along the highway. Great weekend trip. Route runs for 450 miles. Starts in Covington, Kentucky and ends at Gadsen, Alabama. Pay attention to your driving and parking. Great food and some wonderful shopping for "you name it" from locally made crafts to quality antiques. c/p Fentress County C of C, Box 1294. Jamestown, TN 38556. (800) 327-3945. Natchez Trader Flea Market. Highway 48 South. Nine miles from town. Hours 8am-5pm. Ample parking. Outdoor market with approximately 50 dealers. Collectibles, primitives, country, crafts, lots of used and secondhand merchandise. Snack bars, restrooms, h/a. Camping available. Space from $7.50 per day. c/p James Franks, Rt. 1, Box 259, 38462. (931) 796-5623. Carroll Country Flea Market. Highway 70 East. Ample parking. Antiques and collectibles, new & used merchandise, farm items, produce, crafts. Food available, restrooms, h/a. (901) 986-9628. Friendly Franks Flea Market. Highway 45 South. One mile South of town. Hours 9am-6pm. Ample parking. Indoor/outdoor market with approximately 200 dealers. Antiques, collectibles, farm items, toys, primitives, advertising items, crafts, new and used merchandise. Snack bars, restrooms, h/a. This is one market that lives up to its name, lot of really pleasant folks here. Space from $55. for the weekend. c/p Frank Mulliken, Box 328. Cordova, TN 38088. (901) 755-6561. Jonesboro Flea Market. 2627 Highway 11 E. 5 miles west of Jonesboro on Highway 11 E at Livestock Market. Ample parking. Approximately 200 dealers. Large classic southern market, where on a given day you are subject to find anything and everything. Great collector booths with many quality items. Good down home food here, restrooms, h/a and miles of walking. Space from $7. per day. c/p John Crawford, Box 413, 37659. (423) 753-4241. Traders Village Mall. 2745 E. Stone Drive. 37660. Hours 8:30-5:30pm. Ample parking. New and used merchandise, home furnishings, housewares, tools, jewelry, antiques, collectibles, decorator items, crafts. Snack bar, restrooms, h/a. c/p Phil Mann, (423) 288-8204. Family Craft & Flea World. I-40 at Cherry Street. Ample parking. New indoor market. Great selection of locally made craft & gift items. New merchandise, collectibles, lots of modern collectibles, decorator items. Snack bar, restrooms, h/a. River Breeze Flea Market. 6110 Ashville Highway. 37924. Ample parking. New and used merchandise, garage sale items, crafts, produce, collectibles. Snack bar, restrooms, h/a. Market open March-November. (423) 522-5404. Knoxville Fairgrounds Antique Flea Market. Fairgrounds. I-40, Exit 392. Hours 9am-5pm. Admission charge $3. Ample parking. Estimated attendance 4,000. Approximately 300 dealers. An excellent market for antiques, collectibles, and crafts. New and used merchandise. Good source market for antique shop dealers. Many dealers who set up booths here are very well stocked and will wholesale at good prices. Snack bars, clean restrooms, h/a. Indoor/outdoor market. Space from $70. c/p Ralph Green, Box 50096, 37950. (800) 588-3728 or (423) 588-1233. Green Acres Flea Market. Highway 129. I-40, Airport exit. Hours 8am-5pm. Ample parking. Large indoor/outdoor market with approximately 300 dealers. Good selection of antiques, collectibles, primitives, memorabilia, coins, paper goods, vintage clothing and jewelry. New merchandise, housewares, electronics, sportswear. Used merchandise. Snack bar, restrooms, h/a. (423) 681-4433. US 64 Flea Market. Highway 64. Midway between Lawrenceburg and Pulaski. Outdoor market. Camping available. Market has good mix of vendors with wide variety of items. Market open to food vendors. c/p Morris Williams, (931) 363-6562. Deerfield Flea Market. 4140 highway 64 West. 9 mile west of town. Hours: 8am to 5pm. New indoor/outdoor market with approx 100 dealers. Heated and air conditioned. Snackbar, restrooms, h/a. RV hookups. (931) 766-5908. Lewisburg Antique & Flea Market. 3 miles North of town on Highway 31A. Hours 8am-4pm. Approximately 25 dealers. Collectibles, used and new merchandise, crafts, produce. Space from $5. No food, restrooms. Indoor/outdoor and covered spaces. Camping available (615) 359-5939 or 359-8593. Green Acres Flea Market. Highway 129. Hours 6am-5pm. Ample parking. Indoor/outdoor market with approximately 500 dealers. Antiques, collectibles, primitives, farm items, lots of new and used items. Plan an all day stop at this market. Restaurant, restrooms, h/a. Space from $10. c/p Linda Kidd. 908 Hillside Dr. 37777. (423) 681-4433. Fax (423) 681-1091. Flea Market. Highway 31 North. Ample parking. Antiques, collectibles, new and used merchandise, lots of garage sale items, farm items, produce, crafts. Food available, restrooms, h/a. (615) 527-3119. Cleveland Street Flea Market Mall. 438 N. Cleveland. Hours: 8am to 4pm. Free adm, ample free parking. Indoor market with approx 25 dealers. (901) 276-3333. Lamar's Flea Market. Highway 61 South and West Raines Road. Ample parking. Lots of new merchandise and good selection of collector booths. Good all around market. Snack bar, restrooms, h/a. Reservations recommended for Friday-Sunday. (901) 789-3175 or 785-6261. Midtown Flea Market. 2018 Court Avenue. Ample parking. New and used merchandise, garage sale items, home furnishings, household goods, clothing, imports, gifts items, crafts, produce, collectibles. Snack bar, restrooms, h/a. (901) 729-9059. I-24 Flea Market. Highway 41. I-24, exit 134. Indoor/outdoor market. Antiques, collectibles, new and used merchandise, quilts, pets supplies, tools, childrens goods, fashion accessories, farm items, crafts, produce. Food on premises, restrooms, h/a. (931) 924-2227. Volunteer Flea Market Mall. Industrial Park. New and used merchandise, garage sale items, farm items, crafts, collectibles, produce. Snack bar. (615) 839-3432. I-81 Flea Market. I-81, Exit 8. Ample parking. New merchandise, used merchandise, lots of bric-a-brac and farm items, crafts, collectibles, produce. Food available, restrooms, h/a. (615) 587-9430. Murfreesboro Flea Market. 2353 S. Church Street. Ample parking. Average daily attendance 500 with approximately 75 dealers. New merchandise, used merchandise, garage sale items, farm items, collector lines, decorator items, gifts, crafts. Snack bar, restrooms, h/a. Indoor/outside market. Space from $5. Camping nearby. (615) 848-1053. Big Star Flea Market. 2500 Gallitan Road. New merchandise, imports, sportswear, gifts, souvenirs, collectibles, used merchandise and garage sale type bric-a-brac.. (615) 228-7600. Northwest Flea Market. 1734 Jefferson Street. Approximately 25 vendors. Antiques, collectibles, new and used merchandise, crafts. Inside and outside space avail. c/p Vincent Jiles, (615) 327-3628. Nashville Flea Market. 1364 Murfreesboro Rd. Former Zayer's Store. Hours Friday 4pm-9pm, Saturday 9am-6-pm, Sunday 10am-6pm. Ample parking. New Market. Indoor market, mainly new and secondhand merchandise. Lots of new collectibles. Large bird and pet market here. This is a local market not recommended for commercial vendors. 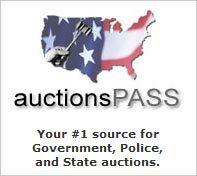 Public auctions on Friday night at 7 pm. Snack bar, restrooms, h/a. (615) 360-7613. Metro Farmers Market. 618 Jackson St. 37219. New merchandise, used merchandise, lots of garage sale items, farm items, crafts, collectibles. Food available. Farmers market open daily. c/p James Witty, (615) 360-7613. The Nashville Junction Flea Market. 3030 Dickerson road. Market restricted to new merchandise only. Imports, sportswear, home furnishings, household goods. (615) 262-3532. American International Flea Market and Mini-Mall. 3030 Dickerson Pike. Ample parking. New merchandise, gifts, souvenirs, sportswear, jewelry, housewares, used merchandise, collectibles. Snack bar, restrooms, h/a. (615) 262-4500. Interstate Flea Market. I-24, Exit 89. Buchanan road. Indoor/outdoor market. Good mix of merchandise here with nice selection of antiques. Food vendors by reservation. (615) 895-4632 or 754-9757. Trinity Flea Market. 120 Trinity Lane. I-65, exit 87A. Outdoor market with approximately 30 dealers. secondhand items, collectibles, crafts, produce, new merchandise. Space from $12. c/p Juanita Ellis, 150 W. Trinity Lane, 37207. (615) 228-9131. Expo Antique & Flea market. Fairgrounds. Expo Building. I-24, Exit 66A. Hours Friday's 3 pm - 8 pm. Saturday 9 am - 6 pm, Sunday's 10am - 4 pm. Ample parking, snanck bar, restrooms, h/a. c/p Stewart Promotions, 2950 Breckenridge Lane, #4-A. Louisville, KY 40220. (502) 456-2244. Flea Market. School Parking Lot. Used merchandise, bric-a-brac, clothing, gifts, farm items, country crafts, collectibles. (423) 483-7938. 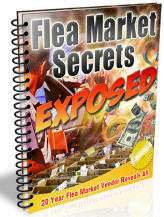 Ocoee Flea Market & Campgrounds. Highway 411. New merchandise, souvenirs, used merchandise, collectibles. Market open March-October. (615) 338-8101. Flea Market. Hadley Blvd. New & used merchandise, home furnishings, housewares, clothing, sports memorabilia, farm items, bric-a-brac, crafts, collectibles. Flea Market. Fairgrounds. Ample parking. Antiques, collectibles, crafts, new and used merchandise. clothing, fashion accessories & jewelry,Home furnishings. Food available, restrooms, h/a. (901) 782-3396. Hank Walters Flea Market. Highway 30. Used merchandise, garage sale items, childrens goods, tools, electronics, farm items, crafts, collectibles, produce. Trading Post Flea Market. Highway 51. Ample parking. New merchandise, souvenirs, sportswear, housewares, jewelry. Used merchandise, garage sale items, farm items, crafts. Snack bar, restrooms, h/a. Gels Flea Market. Route 102. Used merchandise, garage sale items, farm items, primitives, clothing, imports, gifts, collectibles, tools, electronics, crafts. Snack bar. Granny's Flea Market. Highway's 41 and 70 South. Ample parking. Average daily attendance 500. Approximately 40 dealers. New and used merchandise, garage sale items, farm items, collectibles, decorator items. Snack bar, restrooms, h/a. Indoor/outdoor and covered space from $7. Camping available. Soddy Indoor Outdoor Market. Highway 27. Ample parking. Approximately 50 dealers. Antiques, collectibles, country and farm collectibles, primitives, toys, used merchandise, lost of garage sale items. Snack bar, restrooms. Space from $3. (615) 322-2864. South Fulton Flea Market. Highway 45 East. 1 mile South of city. Ample parking. Average attendance 5,000 per weekend. Approximately 75 vendors. Antiques, collectibles, furniture, glassware, silver, coins, vintage clothing, jewelry, toys, primitives, advertising items. Used merchandise, farm items, bric-a-brac. Snack bar, restrooms, h/a. Space from $5. per day. Tennessee tax number required. County license also required. This city hosts one of the country's best spring events - The International Banana Festival. Yes Virginia, they used to not raise bananas in Tennessee. c/p Ray Alford, Box 157. 38257. (901) 479-0077 or 469-5663. Springfield Grand Central Flea Market. 100 10th Street. Ample parking. Indoor market with approximately 40 dealers. New and used merchandise, crafts, collectibles. Snack bar, restrooms. Indoor market with approximately 40 dealers. New market. Space from $15. per weekend. Market open to food vendors. (615) 382-0717. Sweetwater Flea Market. Sweetwater Livestock Auction Grounds. Highway 11. Used merchandise, clothing, housewares, bric-a-brac, antiques, collectibles, primitives, crafts, produce. Food available, restrooms. (423) 337-9535. I-75 & Highway 68 West. I-75, Exit 60. Hours 8am-5pm. Ample parking. Antiques, collectibles, coins, crafts, art. New & used merchandise, housewares, electronics, sportswear and lots of 2nd hand items. Food, camping, restrooms, h/a. Indoor/outdoor market with some covered spaces. Approx 400 dealers. Space from $10 outside. Food available, restrooms. c/p Bryan and Trey Boggs 121 County Rd 308. 37874. (423) 337-3532. Fax: (423) 337-4694. Dogwood High Flea Market. Highway 25 East. One mile East of city. New and used merchandise, garage sale items, farm items, clothing, housewares, collectibles, crafts, produce. Food available, restrooms. (615) 626-3759. Dee's Antique Flea Market. Highway 11E. Ample parking. Approximately 300 dealers. Large country antique and collector market with good seleciton of furniture and great selection of collector boothsfull of everything from Civil War items to campaign buttons. This is a treasure hunters bonanza.Food available, restrooms, h/a. and lots of walking. (423) 753-4241.